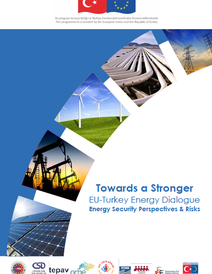 Policy Brief "Ensuring Effective Cooperation between EU and Turkey to Foster Energy Security"
The EU-Turkey energy dialogue must be understood as a two-way street, in which the energy positions of the two parties come closer through taking into account each other interests. The integration of Turkey and its energy policy in the EU Energy Union should be based on a long term vision related to Europe’s diversification of natural gas supply, the expansion of the internal energy market, and the decarbonisation of the energy sector. Turkey will play an increasingly critical role in helping the EU in completing the energy security pillar in the Energy Union initiative. 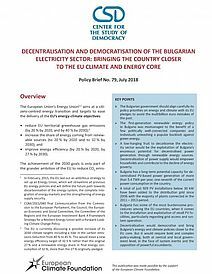 Turkey, on the other hand, will benefit from closer integration in the EU energy policy agenda both from the point of view of expanded energy trading with the EU and of improved regulatory framework fostering market liberalization and economic competitiveness. 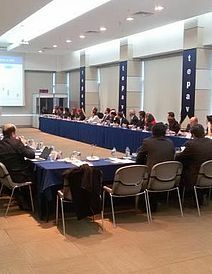 These were some of the conclusions of a workshop, organized by the Economic Policy Research Foundation of Turkey (TEPAV), the Sofia-based Center for the Study of Democracy (CSD), the Turkish oil and gas association (PETFORM) and the Mediterranean Energy Observatory (OME) on 8th September, 2016 in Ankara, Turkey. 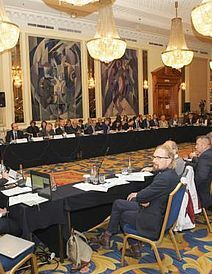 Senior Turkish and EU energy policy-makers took part in the event, and spoke on the Turkish energy security risks and challenges before the successful integration of Turkish energy sector in the Energy Union framework. In their opening remarks, Ms Bengisu Özenç, TEPAV’s Macroeconomic Studies Program Director and Dr Todor Galev, Senior Analyst from the Center for the Study of Democracy, noted the crucial importance of the Turkish geopolitical position for the future of the Energy Union. 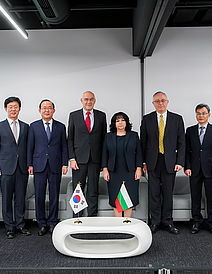 Dr. Galev emphasized that the countries in the Black Sea region need to overcome their focus on bilateral energy cooperation, which is insufficient for the developing a strategic pan-European partnership agenda. More than ever, market integration, according to him, would require stronger policy cooperation that goes beyond inter-governmental talks but also includes businesses and civil society organizations (CSOs) in the energy dialogue. Mr Martin Vladimirov, Analyst at the Economic Program of CSD said that Turkey had been gradually improving its energy security position relative to the average OECD levels despite the country’s rising energy consumption and dependence on energy imports. 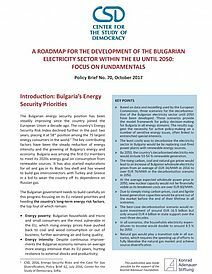 Based on the International Index of Energy Security Risks (IIESR), developed by the US Institute for 21st Century Energy, Turkey is ranked 14 out of the 75 largest energy consumers in the world in terms of the energy security position. He added that Turkey is one of the most vulnerable countries from possible energy supply cuts, especially during the seasonal peak demand period. Nonetheless, the country’s geographic location on the crossroad of major oil and gas routes could turn it into a natural gas hub. Its successful creation would depend on the gas market liberalization, the expansion of LNG import capacity and the setting-up of a virtual gas trading point. In terms of sustainability, despite recent improvements, Mr Vladimirov added, Turkey still falls behind Europe in energy efficiency and has a lot to do in environmental policies and carbon emission. Mr Volkan Özdemir, Chairman of EPPEN Energy, focused on the differences in market models used by European countries in Northern and Southern Europe, and how the lack of a common established framework prevents the creation of the European Energy Union. He added that the Turkish government should work harder on revising its energy legislation to conform to the market principles of the European Union before the integration of the natural gas market in the region could proceed. In addition, he stated that the energy policy of the government is revealing that Ankara is more interested in being a transit corridor rather than a trading hub, which would require a significant change in the regulatory framework. The EU, on the other hand, has not be entirely supportive of the Turkish aspirations for becoming a new hub due to its fears that Turkey could become another Ukraine in terms of monopolizing gas transit for Europe. Every country in the region wants to be an energy hub but this is unrealistic, according to the Turkish Oil Platform (PETFORM) Secretary General, Mr Eser Özdil, who argued that for a hub to be created, there needs to be a pricing mechanism and not just physical distribution. If Turkey is a virtual trading hub, this would benefit also the Energy Union as it could provide a gas benchmark for the whole SEE region that is not integrated enough in the EU internal market. What Turkey needs apart from the right gas market regulatory framework, is enormous investment in storage and LNG import infrastructure. He concluded by saying that even though Turkey is taking huge steps towards market liberalization, it would need to follow the EU governance model in the future. 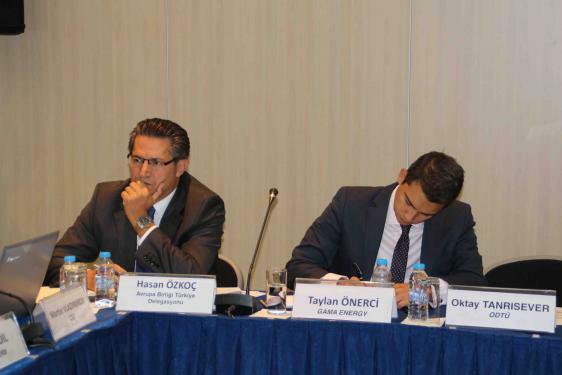 Turkey is not doing enough on the sustainability front, according to the European Union Delegation Energy Manager, Mr Hasan Özkoç, who underscored how important it is for Turkey to increase its renewable energy use and to decarbonise its economy. The Turkey’s level of ambition in boosting wind and solar capacities seems to decrease after 2023 and the government renews its support program for abundant and cheap coal, which would not prevent the achievement of the necessary carbon emission cuts according to the country’s Intended Nationally Determined Contribution (INDC) targets. 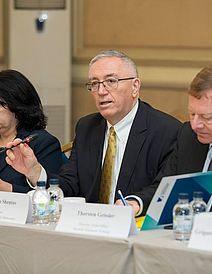 Talking about the importance of harmony within energy policies, Dr Oktay Tanrısever, an international relations professor at the Middle East Technical University, claimed that it may be possible to establish a tripartite alliance between Turkey, EU and Russia in the framework of guaranteeing the security of energy supplies. 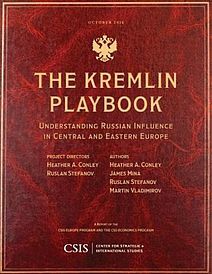 He warned, though, of the growing dependence on the Russian gas supplies in case the Turkish Stream project is realized. Dr Tanrisever said that policy-makers should focus on energy diversification projects instead integrating the topic in their long-term strategy. It would not be an exaggeration to argue that energy security is the main focus of the EU energy Union strategy, and natural gas is the primary focus, according to Dr Sohbet Karbuz, Director of Hydrocarbons at the Mediterranean Energy Observatory (OME). 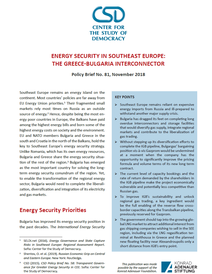 This is quite logical because for more than a decade now ensuring diversification of supply sources and routes (with a special emphasis on the Mediterranean region and Southern gas corridor) has been regarded as one of the key issues in the EU energy security agenda. Like in the EU, the future of natural gas in Turkey is uncertain. Despite having ongoing and planned projects to bring gas from Azerbaijan, Turkmenistan, Iran, Russia, EastMed, and Northern Iraq (which would mean a total of additional 100 bcm of new gas), Turkey may not need that much gas in the future. One way to solve this conundrum, according to Dr Karbuz, is to send the excess gas to European market but this could be risky because the EU would not want another Ukraine as a transit country. He claimed that the best format of improving the EU-Turkey energy relations, and aligning the EU market rules with those in Turkey is in fact the Energy Chapter of the accession negotiations, and not the Energy Community. TEPAV’s Governance Unit Project Manager, Mr Ragıp Evren Aydoğan, stressed on the importance of transparent and participatory policy making processes in order to achieve energy supply security. 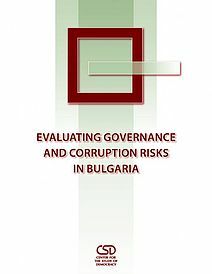 Good energy governance requires also policy consistency and accountability, especially in the management of large energy projects. He added that Turkey with its natural role as a bridge between Asia and Europe will be instrumental for the diversification of the regional and EU energy supply with alternative sources from the Caspian basin and the Middle East. 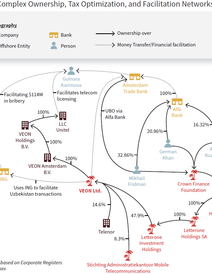 For this to happen, though, there is an acute need for improved energy policy coordination between the EU and Turkey. The gas market liberalization policy has not proceeded as expected and the reason is at least partially, the lack of supply security, according to Mr Görkem Yusuf Topçu, the President of a Network Operation Group at the regulator, EPDK. 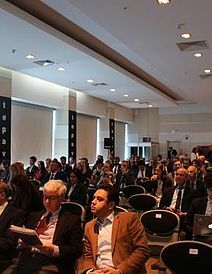 Mr Topcu argued the importance of adopting EU regulations in order to establish a functioning, liberalised gas market. He added that BOTAS needs to be restructured but only gradually and that steps in the right direction had already been taken. Mr Taylan Önerci, Business Development Manager at GAMA Energy, added to the discussion by noting that the development of an efficient energy policy requires a lot of political will. 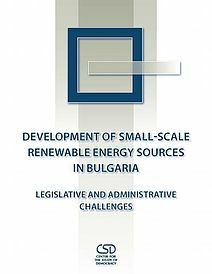 He added that Turkey would need to move away from long-term contracts as they have negatively affected the energy market, in general, and the electricity generation sector, in particular. By using its geopolitical position to bring alternative natural gas, Turkey would produce enormous economic benefits to the private sector. Comprehensive reorganization of BOTAS is essential if Turkey is to overcome the structural bottlenecks in its natural gas sector. Without this change, a dynamic market will not be formed and private sector involvement will not be forthcoming.